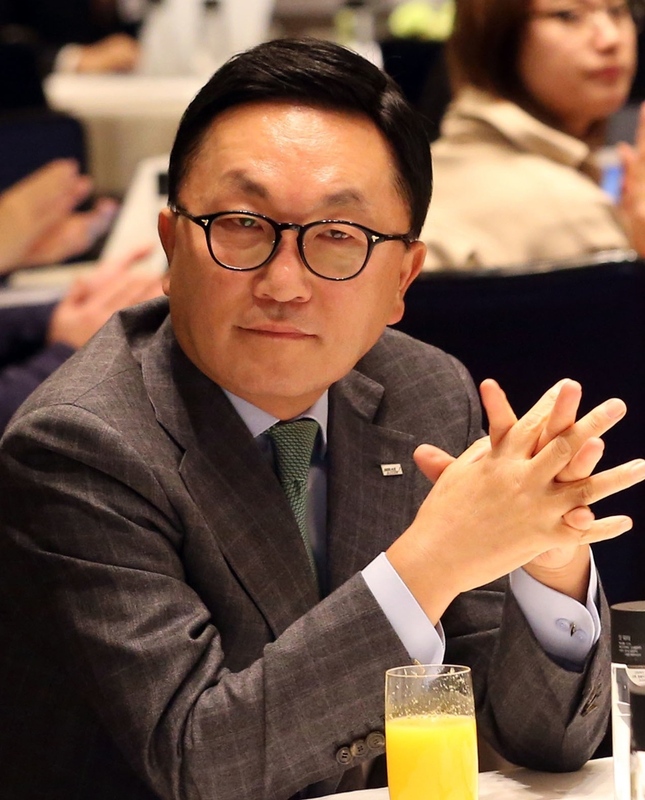 Chairman Park Hyeon-joo of Mirae Asset Group. Mirae Asset Daewoo took over a new logistics center being run by Amazon, the largest e-commerce firm in the world, for $78 million on Dec. 26 from its owner the USA Real Estate Co., the company said. 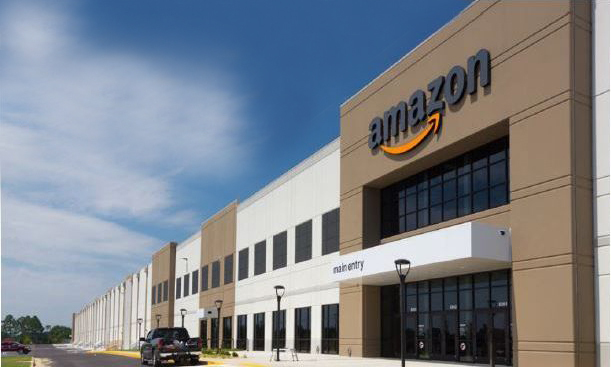 The distribution center is located in Atlanta, Georgia, on a lot some 99,000 square meters large built by the real estate company in July, 2018 and leased it to Amazon for 15 years with the right to extend the lease for additional 25 years. The local subsidiary of the Korean securities firm will sell the stake to the institutional and individual investors later. Global insurer Allianz already agreed to acquire part of the stakes, it added. The brokerage has been an active player acquiring promising real estate assets at home and abroad. It recently acquired stakes in Four Seasons Hawaii and other prime assets in the U.S.
“Mirae Asset has successfully concluded a series of blue-chip deals lately, receiving a stream of quality offers from global investment banks.” Mirae Asset Daewoo U.S. body head Woo Youn-kwang said. Mirae Asset Daewoo is the nation's largest securities and investment bank firm by market capitalization. It currently has approximately 9 percent of the Korean brokerage market in terms both of trading value and commissions. Asset Global Investments India's assets under its management have surpassed 4 trillion won in value as of the end of Nov. 2018, according to Mirae Asset in Seoul, recently. Thanks to its two flagship funds investing in stocks and bonds in India's capital market, the total value of its assets managed on behalf of its regional investors stood at 44 trillion won, or 275 billion rupees ($3.8 billion). It increased nearly 2 trillion won from 2017, so far the fastest growth among 40 registered asset management companies in India, the Seoul-based company said. Currently, Mirae Asset Global Investments India ranks 16th by assets under management, it added, noting it is the only wholly-owned foreign asset management company there. It set up its base in Mumbai, India in Nov. 2006. The company said its next step for further growth would include launching funds to invest in alternative assets such as real estate, or commercial buildings. Also, it is looking to set up an 80 billion won fund to invest in tech startups in India, such as the one Mirae Asset Daewoo formed with Naver, a local search giant, in 2017. Mirae Asset Daewoo and Naver forged ties through an equity swap and launched a fund to invest in tech startups overseas. The fund invested in Grab, Asia's biggest ride-hailing tech company, in August. Bangalore is often called the Silicon Valley of India where a high number of engineers get recruited by US tech giants such as Microsoft and Google. And the Indian Institutes of Technology is referred to as the Massachusetts Institute of Technology of India Microsoft CEO Satya Nadella and Google CEO Sundar Pichai are from India. Mirae Asset Global Investments has 12 overseas subsidiaries including in the US, Canada and Brazil. Its total overseas value of assets managed for its investors is expected to reach 32 trillion won in 2018, up 11 trillion won from 2017, according to the company. In November, Mirae Asset Investment Management in Shanghai secured a license from the China Securities Regulatory Commission that will enable it to launch a private equity fund in China's capital market.